The final four teams race through Seoul, South Korea to clinch a spot in the finale on a chance to race for the $1 Million dollar prize. 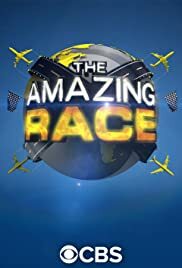 How many episodes of The Amazing Race have you seen? Host: [starting a Race in the first episode of each season] The world is waiting for you. Good luck... travel safe... go! Q: What happens if a team loses their passport/documents? Q: How do the camera crews travel on planes/trains?